teaching effectively in the "age of accountability"
A helpful Q&A chapter gives teachers straightforward advice on addressing their most common challenges, and the appendices point educators to more resources on inclusion, instruction, and augmentative and alternative communication. 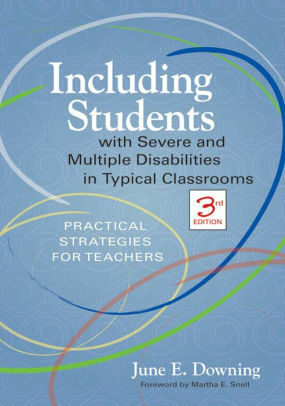 A trusted guide and a widely used textbook since its first edition was published in 1996, this readily accessible book will help teachers maintain high expectations for students with severe and multiple disabilities and create successful inclusive classrooms where every child learns. "From understanding teaching accountability processes to easing transitions for students and writing mesaurable IEP goals, this is a powerful assessment tool for college-level education libraries." "A treashure chest of concrete examples and practical strategies for making inclusion come alive." "Rich with descriptive examples and illustrations of individualized adaptations . . . a must for preparing high qualified teachers."